A bike rack in the garden is very convenient, but in general they are ugly no? 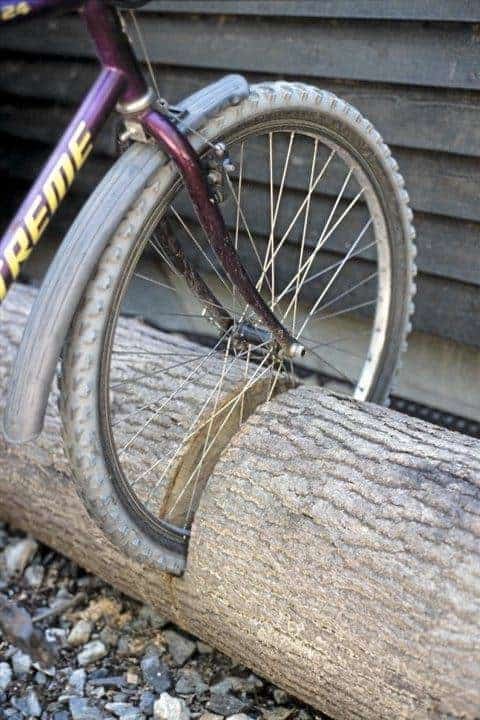 This is a great solution, transform an old trunk your own into a cool bike rack! Oh, this is adorable! I’m needing a place to put my bike, however I don’t have any experience building anything more than a simple end table. This would be so easy to make, and I have some lumber I can up-cycle for it :) It’s too perfect. Thanks for sharing.